Jared Unzipped: The Startling Facts on Child Abuse. Before I begin with today's article, I'd like to give a warm welcome to all of my new readers. I've spoken with many of you directly over the past few days. Your readership is very much appreciated. I hope you'll stick around! Thanks to some recent discussions about my own experiences as a youth dealing with child abuse, I started doing some digging. I was curious as to the raw numbers relating to the prevalence of child abuse in modern America. What I found was troubling, to say the least. After compiling this data set over the past few days, I'd like to share with you what I determined. Unfortunately, it's not good news. As the statistics currently show, approximately one out of every ten children in the United States is a documented victim of some form of child abuse -- whether that be physical, emotional or sexual in nature. The reported numbers between boys and girls is relatively even. More than 1600 children were killed by a perpetrator of child abuse in 2012, of which one of the parents was responsible nearly 80% of the time. That translates to roughly five children dying a day at the hands of their abusers. When it relates to how child abuse affects a person as they grow into adulthood, the numbers continue to be horrific. Females whom suffered abuse as a child are 25% more likely to experience pregnancy as a teenager. 46% of all teenage runaways are victims of physical abuse; 17% are victims of sexual abuse. You're 59% more likely to be arrested as a juvenile and 28% more likely to be arrested as an adult. Overall, no matter the age, incarcerated individuals whom experienced child abuse correlate to over 30% of all violent crime. Across the board, those whom are locked up reflect child abuse rates that are twice the national average. The use of illicit drugs and the abuse of prescription medication and alcohol is clearly linked to child neglect, accounting for nearly 65% of all individuals in drug treatment programs. In terms of health, child abuse doesn't end there. As adults, victims are alarmingly more prone to asthma, high blood pressure, respiratory diseases, eating disorders, allergies, post traumatic stress disorder, dissociative disorder, depression and periods of extreme anger. More than 80% of all documented child abuse victims meet the criteria for one or more psychiatric disorders by age 21. Scholastic performance is traumatically affected by child abuse as well. When a child is abused, they are 50% more likely to do poorly in school. 30% of abused students develop a cognitive or language impairment. Of students whom are diagnosed with a learning disorder, child abuse increases your chances by 22%. The numbers don't lie -- child abuse creates adults whom are less healthy, less scholastically capable, less able to function as a productive individual of society. If you calculate the impact of child abuse in pure dollars and cents, it reveals that the long term effects are quite bleak. If you were to compile the combined lifetime cost of health care, legal services, criminal justice expenditures, lost worker productivity and welfare directly linked to newly reported incidents in only one year, child abuse costs our nation annually over $125 billion. Just when you think you've got a grasp on these statistics, you have to consider one more piece of monumental information. Most incidents of child abuse never go reported -- current estimates suggest that for every one documented case, three incidents occur without ever being known about. If you take this fact into consideration, it becomes blatantly obvious that more children are being abused than you can possibly imagine. The most damning statistic is this -- nearly forty percent of all victims of child abuse will themselves becomes perpetrators of it in adulthood. They will continue the cycle of abuse that's seemingly never-ending. I have to be honest with you. When I read all of these statistics, it made me realize just how darn lucky I am. The odds were stacked heavily against me. Thankfully, the only psychiatric problems I've encountered as an adult were depression and anger. I also used food as a coping mechanism. All of those issues are under control, though. I can't change the fact that I have asthma or severe allergies; they're something I just have to contend with. If you know of a child that is experiencing neglect and abuse, make a stand and speak up. If you're a child that's reading this article, please know that you are not alone. 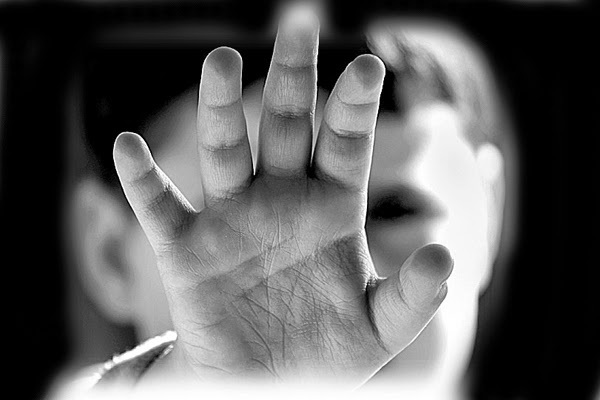 Child abuse only continues when victims and those whom witness it remain silent. Call the National Child Abuse Hotline toll-free at 1-800-4-A-CHILD (1-800-422-4453). Counselors are available 24 hours a day, 7 days a week. Your call will be totally confidential. It could save a life -- perhaps your own. And remember -- share this information with your friends and family. The more people that know, the less children that suffer.